Bartlett, Jeremiah (1701 - 1750), son of John Bartlett and Alice ? Bibbee, Elizabeth (1778 - 1856), daughter of John Bibbee and Susanna ? Bryner, Johannas (abt. 1750 - 1836), son of Johann George Breiner and Elizabeth ? Chambers, Lydia (1852 - 1877), daughter of William Chambers and Elizabeth ? 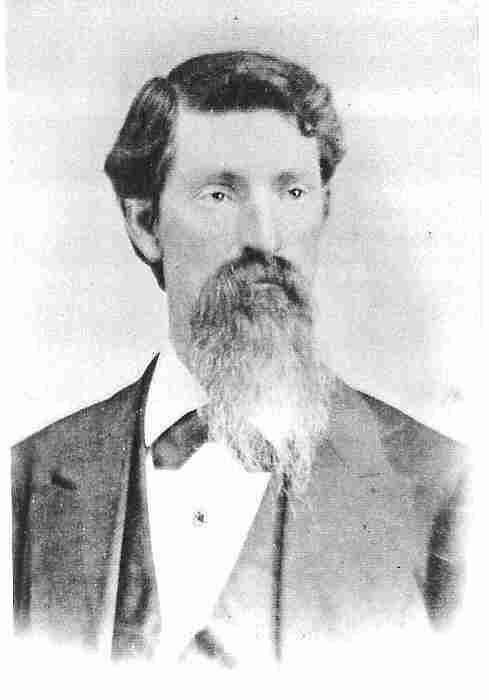 Dunlap, William James (1840 - 1915), son of Samuel Dunlap and Catherine ? Fielding, Jesse (1817 - 1850), son of James Fielding and Sarah ? Harpold, Barbara (1783 - 1867), daughter of Adam Harpold and Margaret ? Hayes, James Preston (1851 - bef. 1885), son of Thomas Hayes and ? Honen, Maria Elisabeth (1642 - ? ), daughter of Jacob Henrich Honen and Anna ? Koble, Maria Barbara (1780 - 1836), daughter of Daniel Koble and Barbara ? Krebs / Kreps, Christina (1772 - 1844), daughter of John Henry Krebs and Christina Margaret ? Krebs / Kreps, John Henry (1777 - 1941), son of John Henry Krebs and Christina ? Krebs, Johann Heinrich (1711 - 1771), son of Johann Michael Krebs and Margaret Barbara ? Krepps, John (1839 -1927), son of Henry Krebs / Kreps and ? Krepps, Joshua (1837 - 1908), son of Henry Krebs / Kreps and ? Long, Christopher (1746 - 1829), son of Ware Long and Sarah ? Plattner, Anna Marie (1711 - 1760), daughter of Hans Jerg Plattner and Appolonia ? Riegel, Jorge Wilhelm (1706 - 1778), son of Johannas Cornelius Riegel and Anna Gertruitha ? Riegel, Susanna (1790 - 1860), daughter of Johann Michael Riegel and Marie Elisabeth ? Roser, William Henry (1839 - 1910) son of Evan Roser and ? Smith, Rachel (1843 - 1922), daughter of Jesse Smith and Eliza ? Turner, Sarah (1757 - 1822), daughter of James Turner and Elsie ? Written by Bob Krepps © 2003 all rights reserved. Permission granted to copy for personal & non-commercial purposes only.